Since its deployment in 2012 to the surface of Mars, the Curiosity rover has sent back many breathtaking images of the Red Planet. 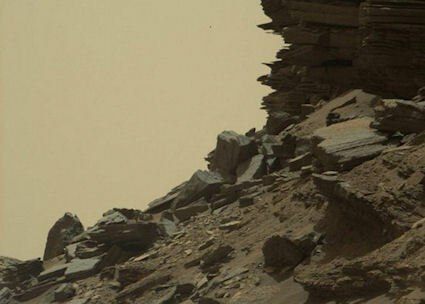 With the latest photos to be released by NASA, the Curiosity rover has provided us with a wonderful look at the ´Murray Buttes´ region, which is in the lower part of Mount Sharp. These images were taken by the Curiosity Mast Camera on Sept. 8th, and provide some lovely insight into the geological history of the region. Using these images, the Curiosity team hopes to assemble another impressive color mosaic that will give a detailed look at the region's rocky, desert-like landscape.